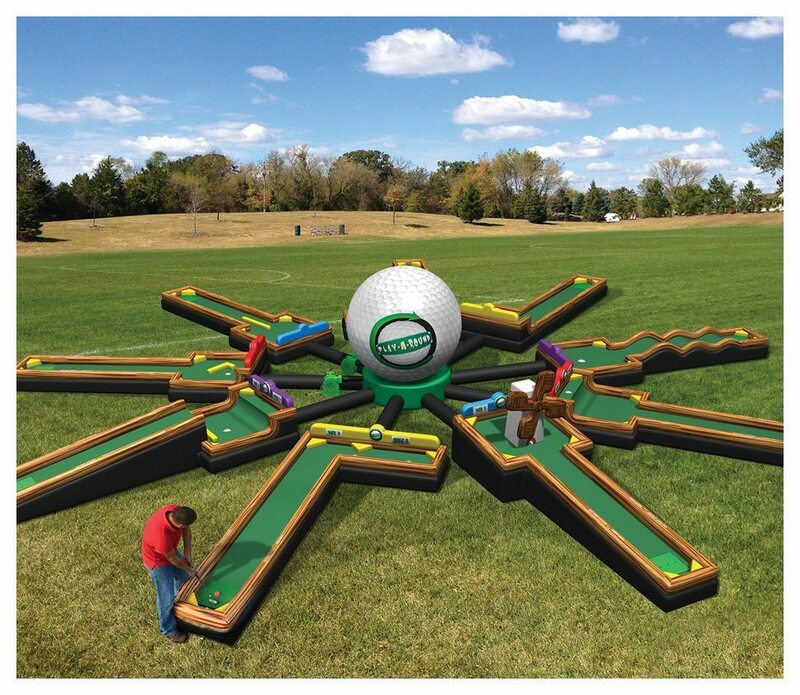 It's time to test your Handicap. 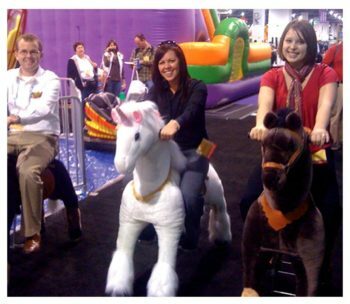 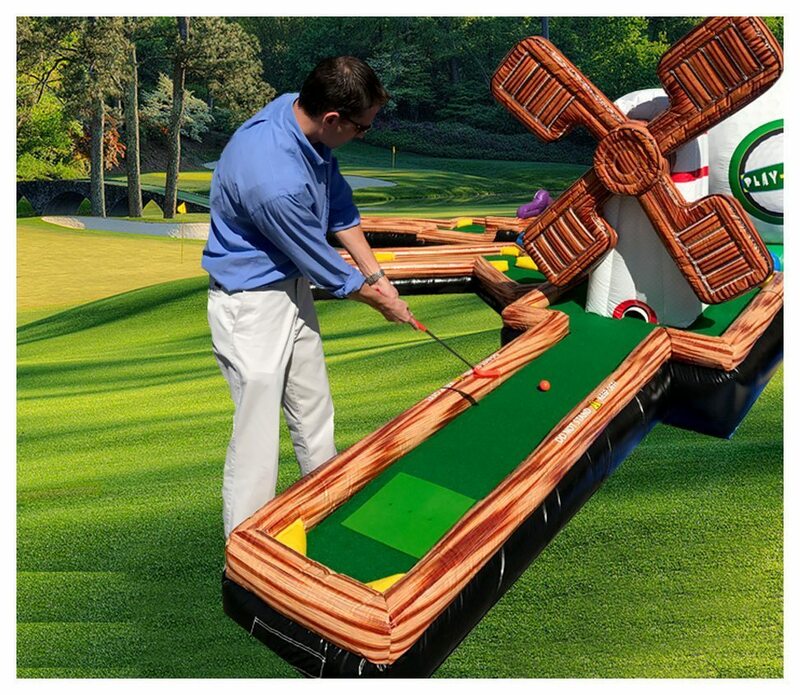 Play-A-Round™ Golf takes Mini Golf to the next level. 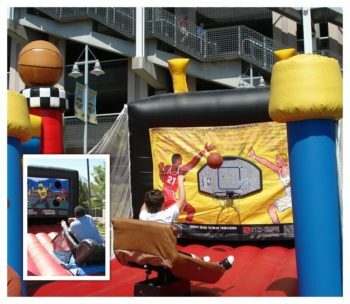 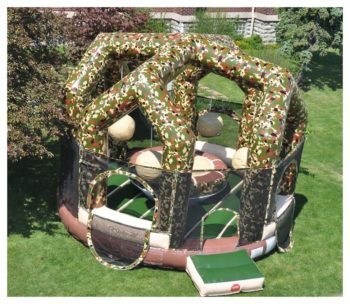 This fully inflated unit features 9 holes of varying designs and levels of difficulty. 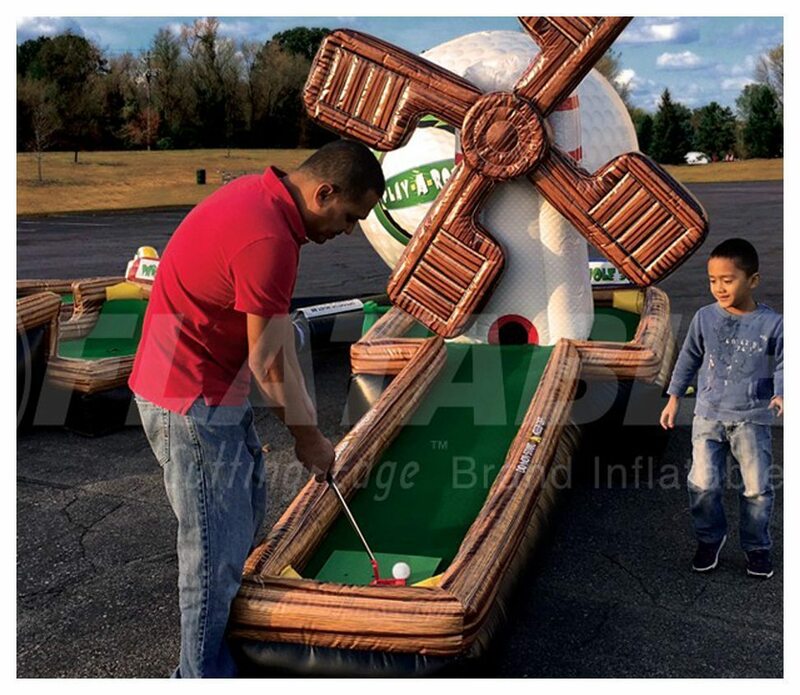 Hole 9 also has a motorized inflatable windmill! 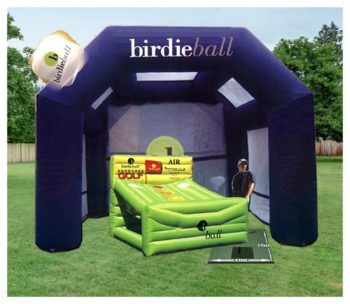 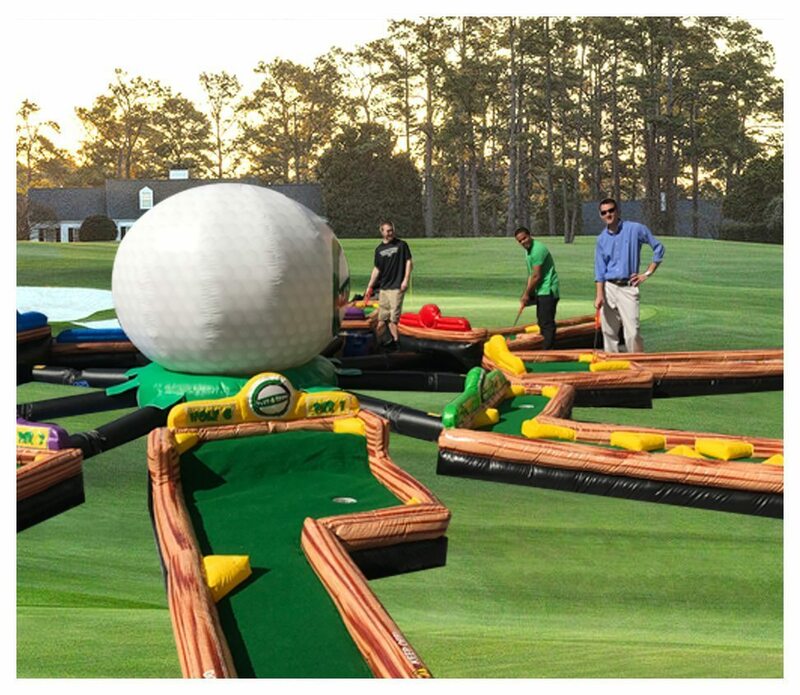 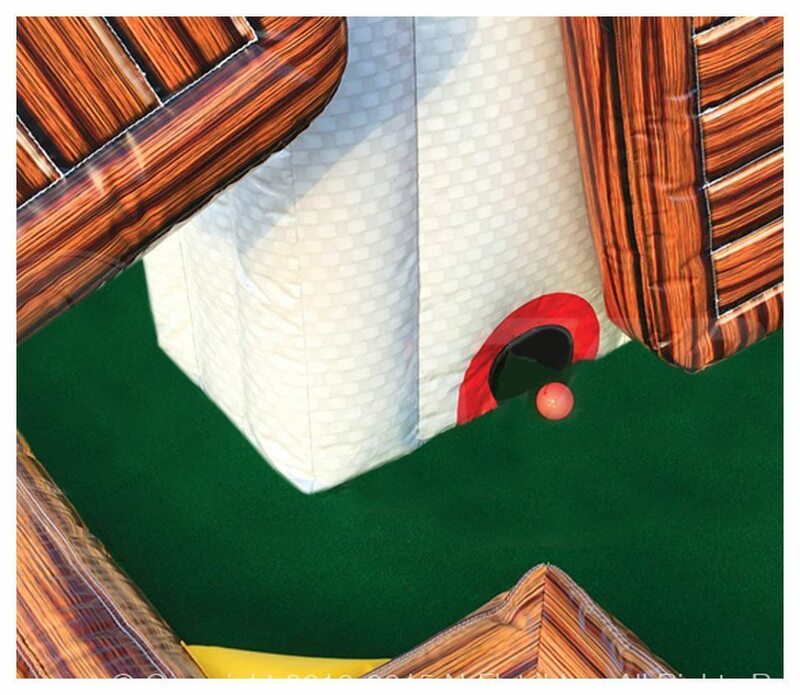 Unlike other inflatable mini golf courses, this inflatable is designed to walk around the putting surface, preventing your movements from disturbing the ball.